Love is in the air. Whether it’s a budget or blowout experience you’re after, we’ve rounded up the city’s best Valentine’s Day offers. Here are 36 Valentine’s Day dinners for you to check out. 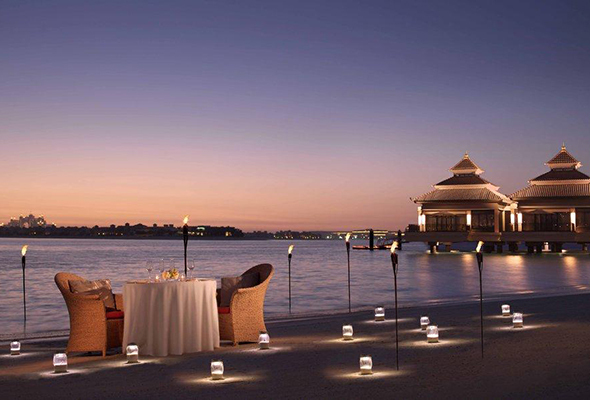 Spend the day with your loved one by the shimmering waters at the Anantara, The Palm. 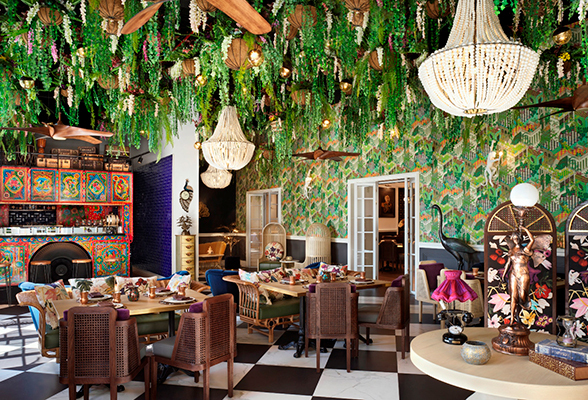 Choose from either a passionate dinner with touches of chic decor, flowers and moody lighting at Mekong or a laidback evening of romance with a three-course meal at Bushman’s- a laid back atmosphere with an Australian fare. 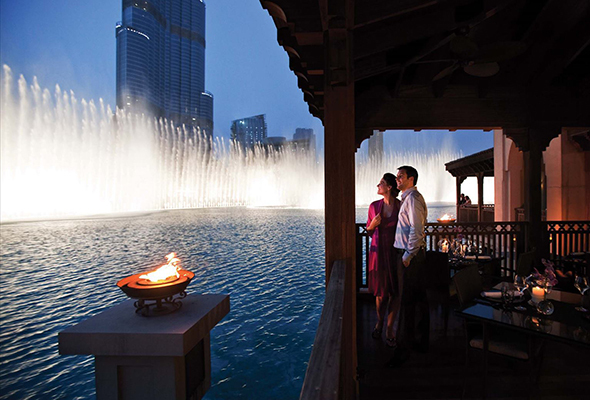 Not only will you and your date enjoy a five-course set menu at Thiptara, a restaurant that literally translates to ‘Magic at the Water’, but you can also enjoy spectacular views of The Dubai Fountain too. 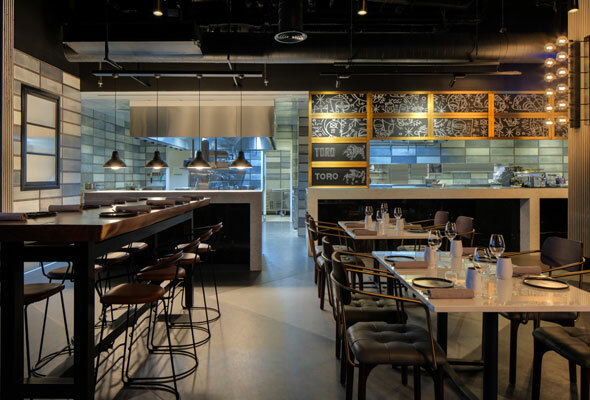 A five-course menu will be in store for diners who choose to spend their Valentine’s Day at Bread Street Kitchen. 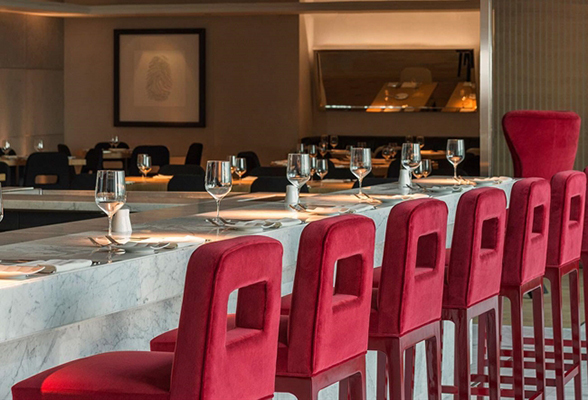 Guests can savor delectable dishes such as Kelly oysters, lobster ravioli and filet mignon. Each couple will also receive a rose and a selection of chocolates in a customised box. 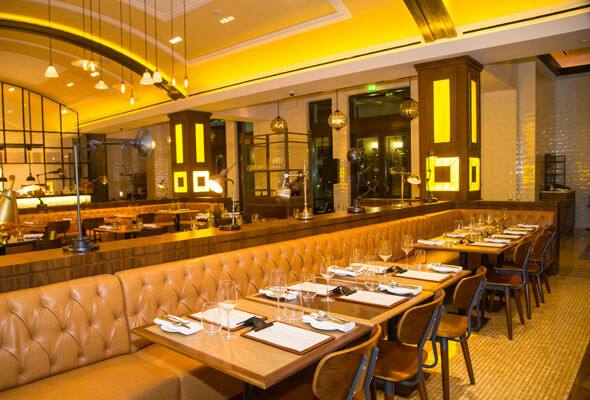 Beefbar, which opened up just last year in DIFC, is offering a special set menu this Valentine’s Day for couples for which includes starters, a Chateaubriand to share and a dessert. They also have a new terrace if you want to add a cool touch to your night. 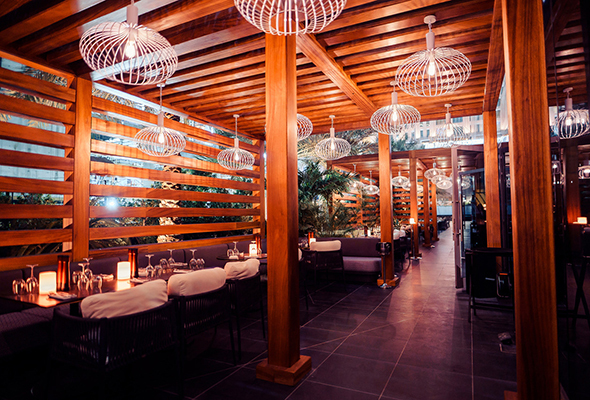 Looking for a swanky dinner experience this V-Day? 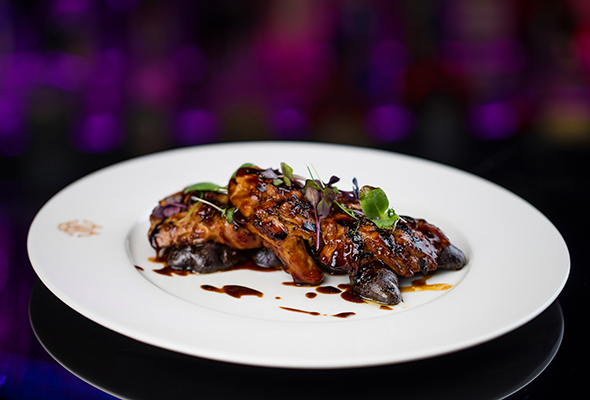 Cavalli Club is offering a special evening brunch on Valentine’s day worth Dhs395 per person with unlimited food and drinks. While a steakhouse may not sound like such a romantic night, meat lovers will argue otherwise. If you and your loved ones like to feast on large portions of steak and seafood then spend the most romantic day of the year at Seafire Steakhouse & Bar. Expect a six-course dinner of oysters followed by seared scallops and surf and turf with beef tenderloin, all while listening to live music by a jazz duo. 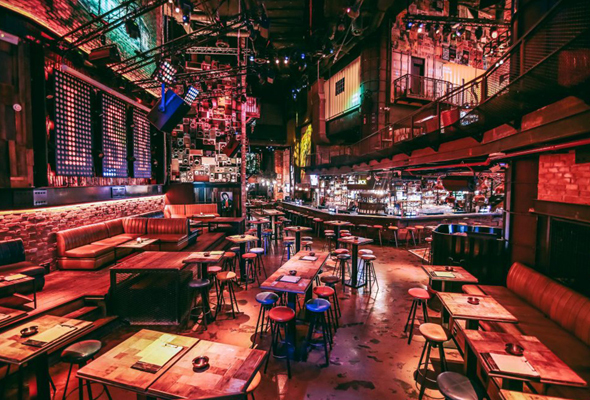 Deemed as one of the most instagrammable restaurants in Dubai Little Miss India is the perfect spot to show off your romantic night to your family and friends. Enjoy a variety of traditional Indian dishes from Chicken Tikka and assorted naan bread. A vegetarian option is also available too with Dal Makhani on the menu. End your night on a sweet note with a traditional Gulab Jamun or cheesecake. 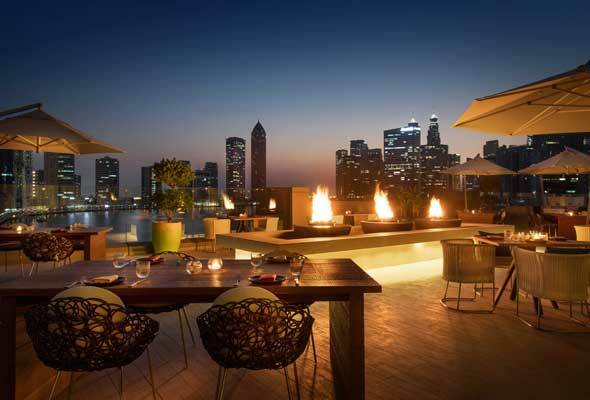 Fairmont The Palm, 6pm to 12am, Thursday, February 14. Tel: (04) 457 3457. Fairmont.com/palm. 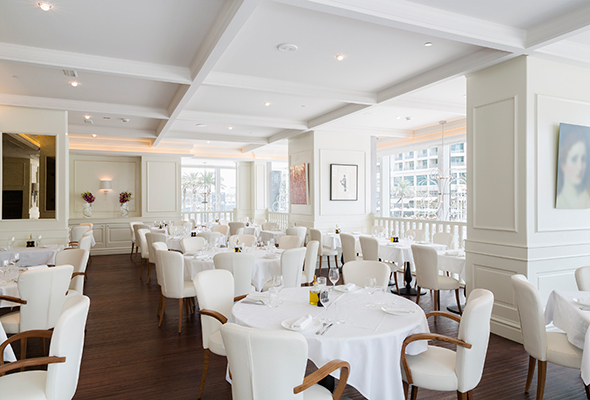 The Ritz-Carlton Dubai JBR’s beloved Italian restaurant Splendido is serving a five-course menu featuring lobster carpaccio, guinea fowl with foie gras, tempura oysters, and chocolate pizza. Delicious. 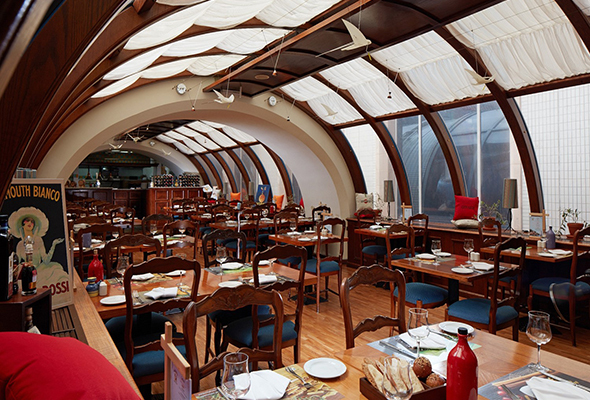 Spend Valentine’s at this revolving restaurant with a special dinner buffet featuring international delicacies from the tandoor, wok fry, rotisserie stations. All ladies receive a Valentine’s Day gift and there’s a ‘Beauty and the Beast’ theme to set the mood. 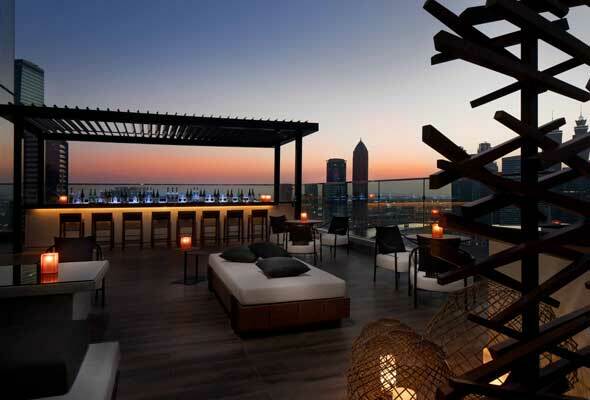 The incredible views from the 68th floor of this steakhouse stalwart at the JW Marriott Marquis is wow-worthy enough, but a glamourous five-course set menu tops it off perfectly. Al Fresco has a special set menu on the table for Valentine’s Day inspired by one of the world’s most popular love stories – Romeo and Juliet. The five-course meal will feature items such as lobster salad and veal medallion for you and your partner to dig into. Book your spot before February 7 to avail of a 15 per cent discount on your bill. 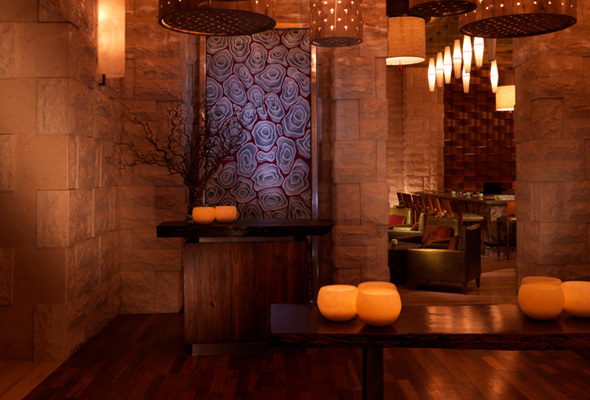 Japanese foodie lovers should check out the What’s On Award-winning Morimoto Dubai’s Valentine’s Day special. Enjoy a three-course menu for two including tuna pizza, rock shrimp tempura and black cod for a value Dhs190 per person. If you’re more accustomed to the finer things in life, then this is a deal for you. 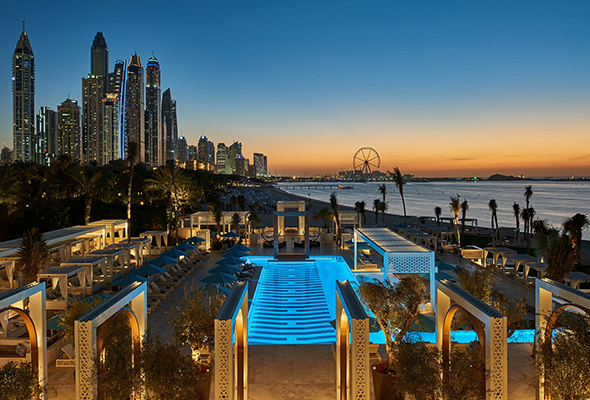 DRIFT Beach, located at the picturesque One&Only Royal Mirage is offering couples a luxury day-cation this Valentine’s Day. It includes being chauffeured around in a luxury vehicle, a private villa, a couple’s massage, lunch from a Provençal-inspired menu, a tailor-made romantic candlelit dinner, and finally a luxury ride home for an all-inclusive price of Dhs20,000. 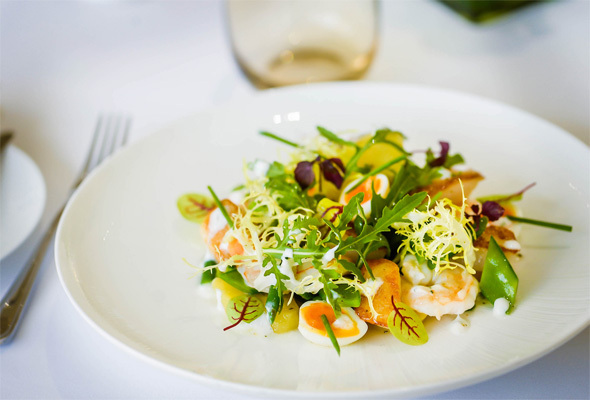 This modern European restaurant located on a serene beach spot offers couples a chance to indulge in a variety of meals such as salmon gravlax and tuna carpaccio for starter followed by duck, vegetable lasagna and more for mains. Couples can end the meal with the Strawberry affection, a velvety strawberry cheesecake with chocolate strawberry sauce or peach flambe. Going all out this Valentine’s Day? 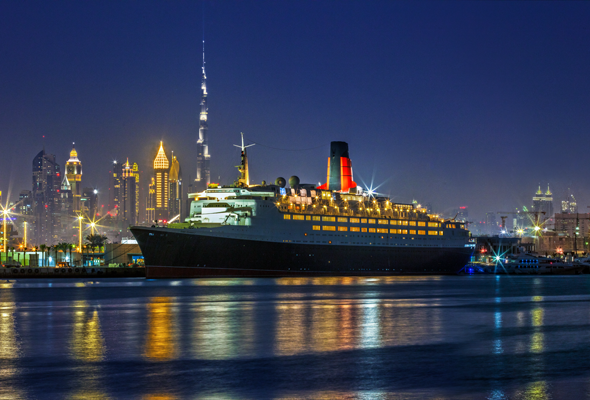 Spend Valentine’s day in private with only 11 other couples on the bow of the QE2. You will be welcomed to a stunning five-course meal by candlelight, live music, and a butler to ensure your evening is magical. Don’t miss out on the opportunity to get a professional photograph taken of the classic Kate Winslet ‘flying’ scene from Titanic. End the night with a stay in a Superior Room and breakfast the following morning. 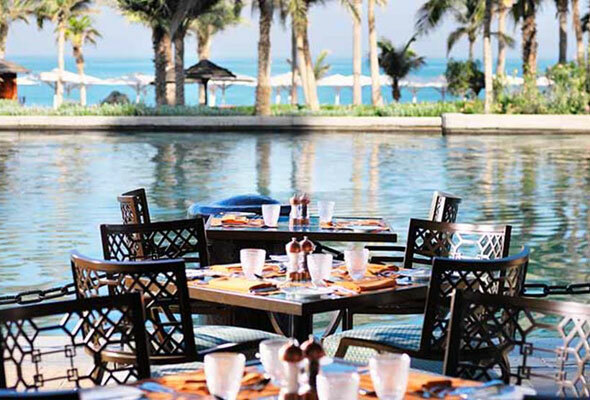 If you feel like escaping the city for Valentine’s day, then pop over to Fujairah to Gonu restaurant at the Le Meridien Al Aqah Beach Resort by the Indian ocean. You and your loved one can enjoy a four-course set menu with sparkling wine for Dhs444. This event gives you the chance to celebrate Valentine’s day whether you bring a plus one or not! Enjoy a buffet accompanied by a band, a romantic photo booth station experience and giveaways for the ladies. 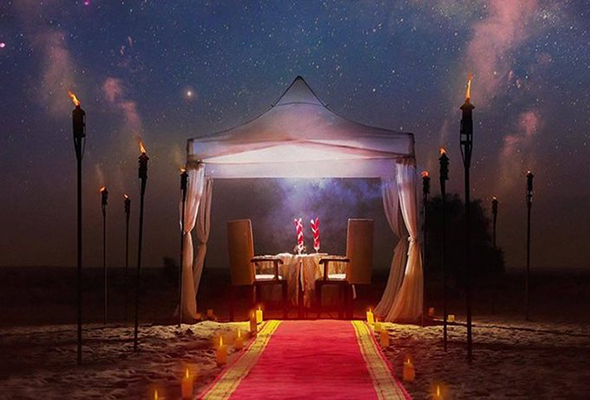 What could be more romantic than watching the sunset across the desert dunes or a romantic evening under the stars with your partner? 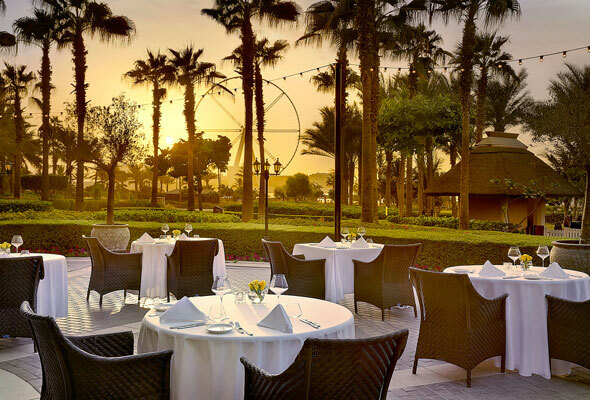 Experience both at the Bab Al Shams Desert Resort where the hotel is hosting Valentine’s day outdoors on a terrace overlooking the Palm courtyard where every couple can enjoy a four-course Italian meal while listening to romantic music and drinking sparkling grape. Feeling lucky this Valentine’s Day? 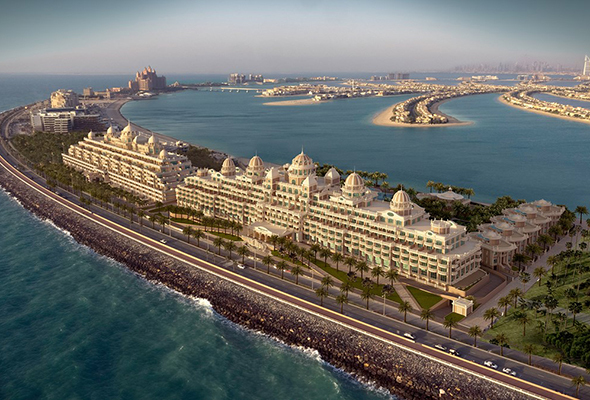 Head on over to FIVE Palm Jumeirah and order a cocktail for your significant other between 7pm to 11pm and stand a chance to win a one-carat diamond. 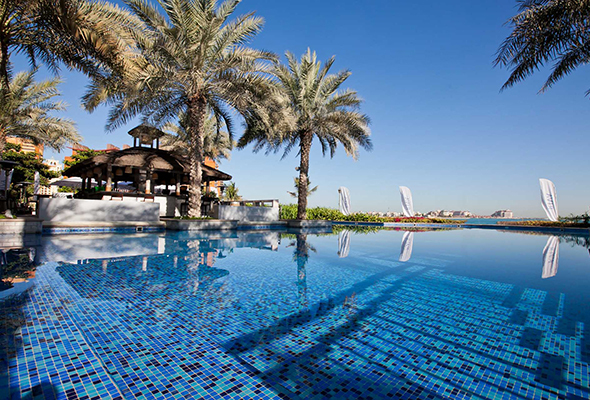 There are also Dhs50,000 worth of other prizes to be won including a staycation, spa and restaurant vouchers. 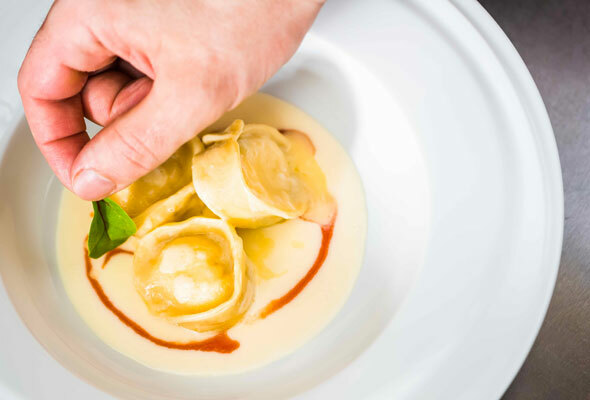 The hotel’s Italian restaurant, Quattro Passi, is also offering a four-course romantic dinner starting from Dhs350, where you and your loved one can dig into some traditional Italian fare like Porcini-Gorgonzola ravioli and Sicilian red shrimp. Experience a romantic evening with your soulmate and enjoy a variety of seafood dishes accompanied by a live Sax performance. Head to the private beach on JBR and enjoy Valentine’s Day under a blanket of stars while you’re serenaded by a live guitarist and the sound of the waves. 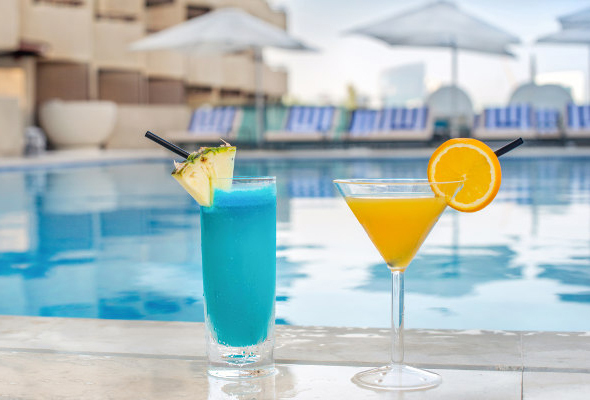 Wavebreaker is offering a 3-course menu that will cost Dhs695 per couple – but the night can be made even more special by renting a private Cabana by the beach at a price of Dhs3000 per couple which will include bubbles and a 3-course premium set menu. 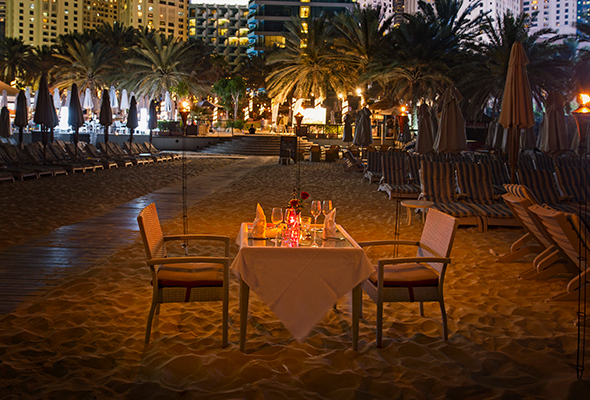 If spending the evening with a romantic meal on the beach with your plus one is your vision of a perfect Valentine’s Day then head to Sablanc. You will sit in a private cabana on the beach and enjoy a four-course meal overlooking the palace grounds while accompanied by a roaming violinist. The package also includes soft drinks, champagne and a bouquet of roses for the lady. 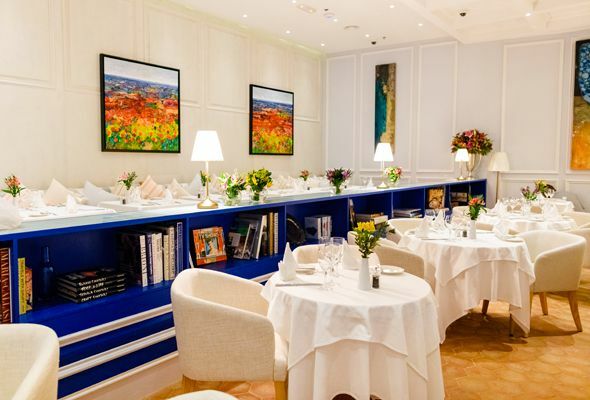 Be it your first or tenth date, you won’t be disappointed by the atmosphere at La Serre. Enjoy a glass of champagne with your scrumptious four-course meal followed by some excellent Dessert wine. Ladies, there’s also a special surprise in store for you. We know, being single on Valentine’s day is tough. But it doesn’t have to be. If you (or perhaps, a friend) are having trouble finding a date this V-day then all you need to do is message your name to Lock, Stock & Barrel through their social media or email address. Then head down to LSB on February 12 and you’ll get a surprise panel of potential matches when you get there. Ask a single question on the blind and then you can meet your match before the clocks strike midnight. Not only will you get a date, but also Dhs 1,000. What have you got to lose? 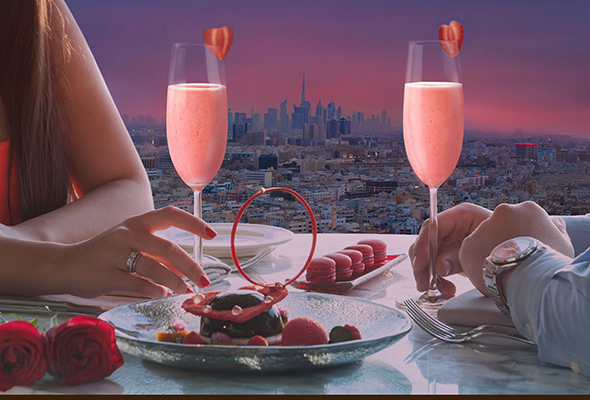 Indulge in a spectacular four-course meal this Valentine’s day topped off with amazing panoramic views of Dubai Marina and the Palm Jumeirah at the Observatory Bar and Grill located on the 52nd floor at the Dubai Marriott Harbour Hotel. Ladies will also get a special Valentine’s day surprise. Share a delicious tapas meal and bubbles with the one you love this Valentine’s day at the Spanish tapas restaurant, Toro + Ko. 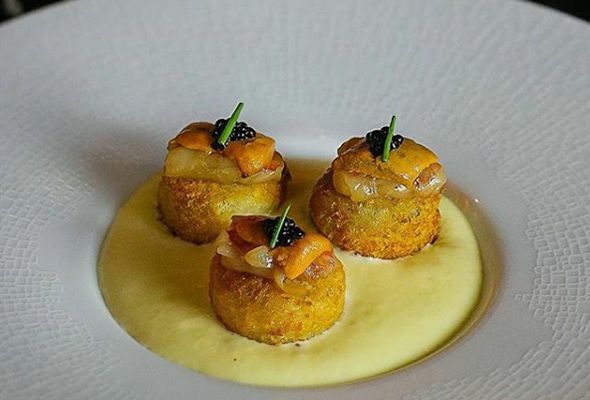 Some of the highlights of the menu will include Quail Escabeche, Pumpkin Soup and Seared Red Snapper. 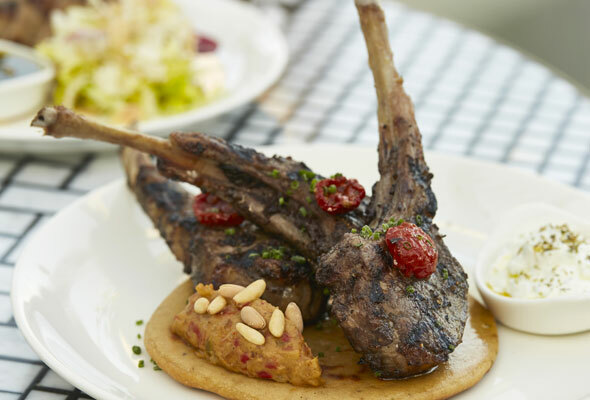 If you like zesty Mediterranean meals then tuck into this deal at Villamoré this Valentine’s Day. 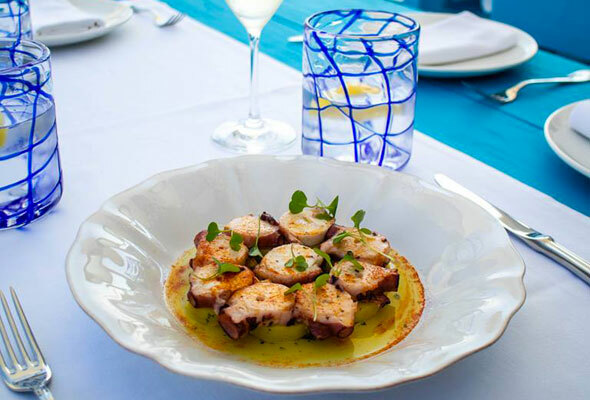 Couples can enjoy a three-course meal including lobster, tuna tartare and other grilled fish dishes at the romantic and charming restaurant located on the West Crescent on the Palm. To make your evening even better, couples will also get the chance to win a night for two at the Emerald Palace Kempinski. Spend Valentine’s Day this year with your special someone and tuck into some delicious Italian meals at Scalini. The signature Italian dishes will blow you away with explosive flavours with dishes such as Avocado Caldo, Carpaccio pizza and many more. Red roses will fill the restaurant to make the night more romantic and each lady will be presented with her very own upon arrival. Enjoy an exceptional Anatolian dining experience with your loved one at Rüya with fresh oysters, Lahmacum filled spicy lamb and many other delicacies in store. Chef Akira Back’s unique twist on Japanese cuisine prepared with Korean essence will truly make your Valentine’s Day one to remember. 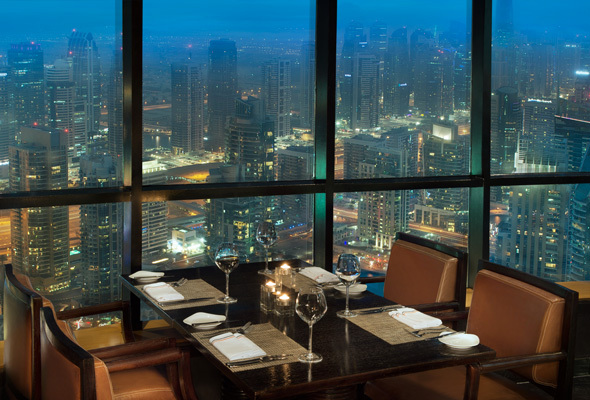 Enjoy a delicious nine-course meal as you take in the spectacular views of the Dubai skyline. Teaming up with Tiffany & Co, Ossiano will not only bring you some excellent food this Valentine’s Day but an amazing gift as well. 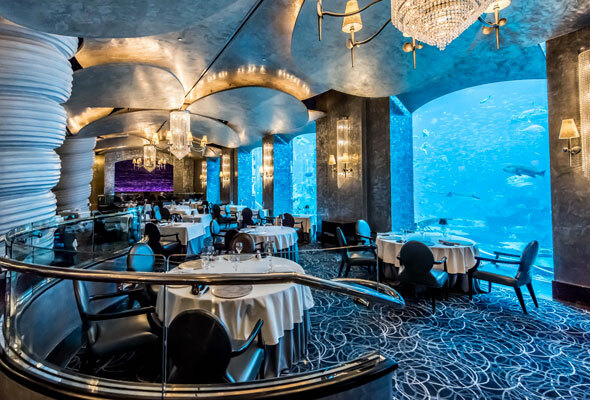 Dining at this spectacular underwater restaurant at the Atlantis, the Palm will earn you excellent views of 65,000 marine species as you dig into a world-class seven-course meal but Platinum diners will also receive an 18k white gold Tiffany and Co bracelet as a gift. 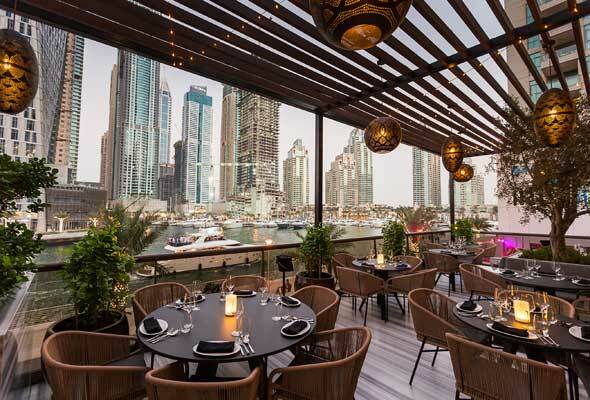 Spend the evening surrounded by amazing views of the Dubai Canal while enjoying Middle Eastern cuisine including items such as Seven Spiced crispy Salmon, Beetroot Wild Mushroom Frekah risotto and Crispy fried sweet potato. There will also be a large variety of special cocktails and mocktails to slurp up. You may have to consider a loan for this one. If you really want Valentine’s day you won’t forget, then this experience at the Waldorf Astoria is the one to do it. Upon arrival couples will bathe in the Neom Happiness bath experience followed by a champagne breakfast in bed with Waldorf eggs royale with truffle hollandaise sauce. Couples will then be treated to a massage and spa day. Wait, there’s more. 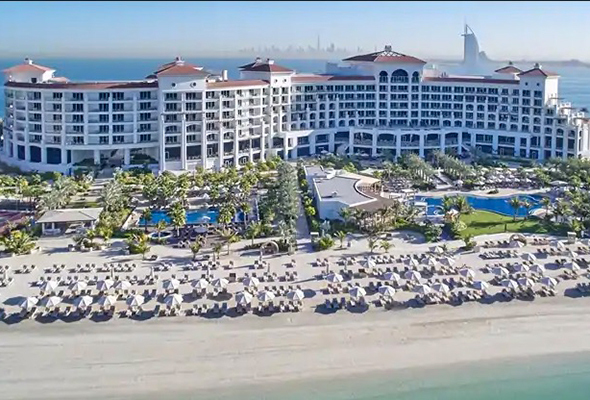 Couples will then go on a helicopter ride around the Palm Jumeirah and Dubai before ending the day with a seven course dinner for two on a private balcony with candles, roses, rosé and a diamond necklace and earring gift set from the hotel. Kick off your Valentine’s evening with a glass of bubbly before enjoying a three-course meal from the Anglo-French-inspired menu that’s been sorted out for you none other than, celebrity chef, Gary Rhodes. Let’s cut to the chase, shall we? If food is what you’re after, and a lot of it then head over to Hanaaya at Madinat Jumeirah for Valentine’s day where you can dig into a buffet with foods from around the world. You can even take the kids!